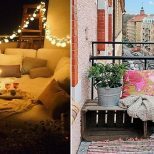 Remember that dark basement suite you lived in during college? 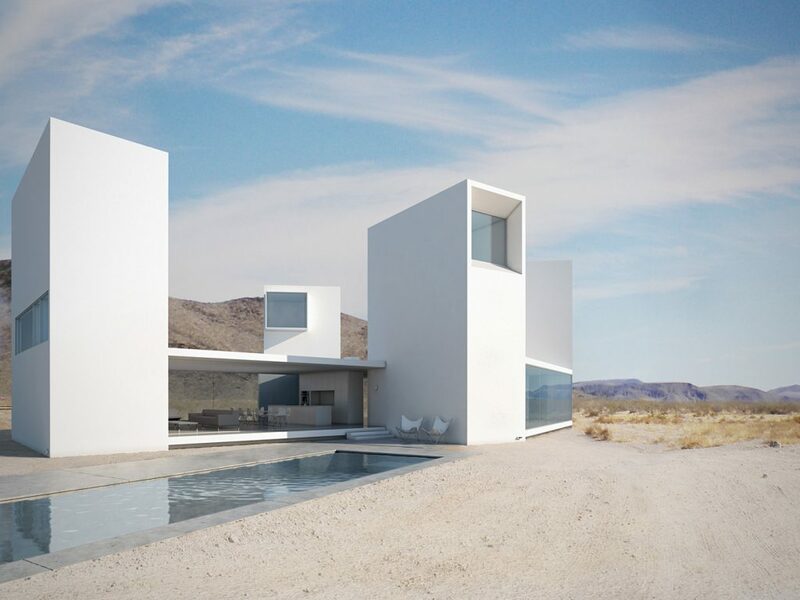 These light-filled homes are the antithesis of that. 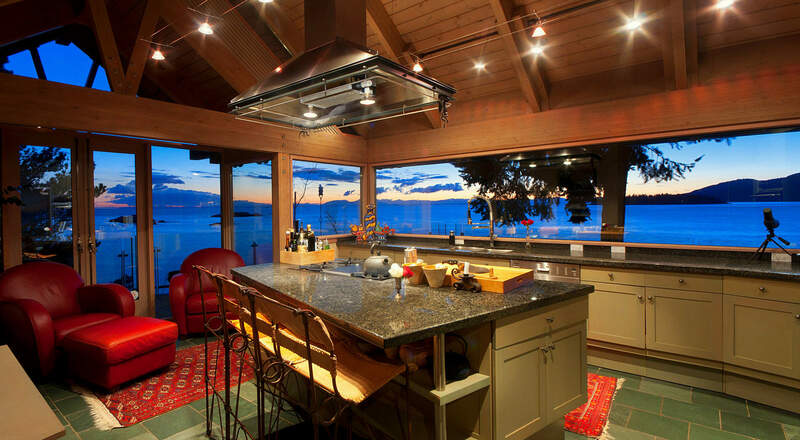 Feast your eyes on the floor-to-ceiling awesomeness! 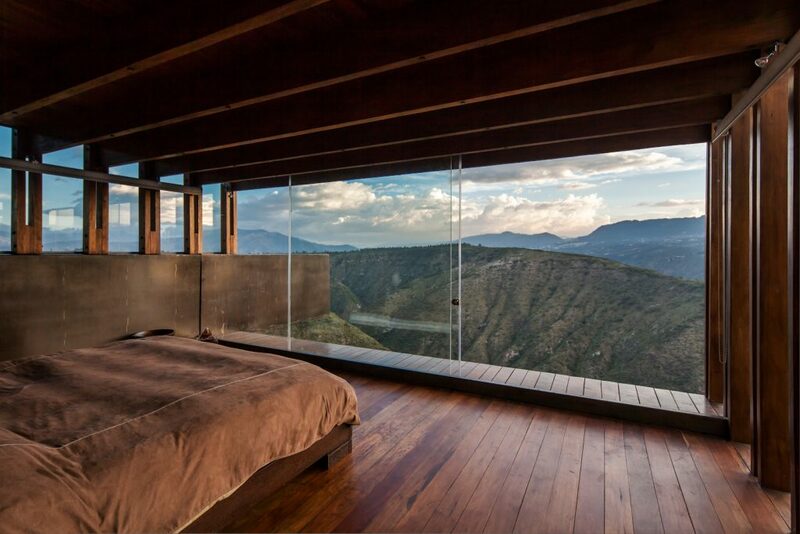 Ecuador’s Algarrobos House is a mountainous hideout comprised of steel beams, glass walls and dizzying views. 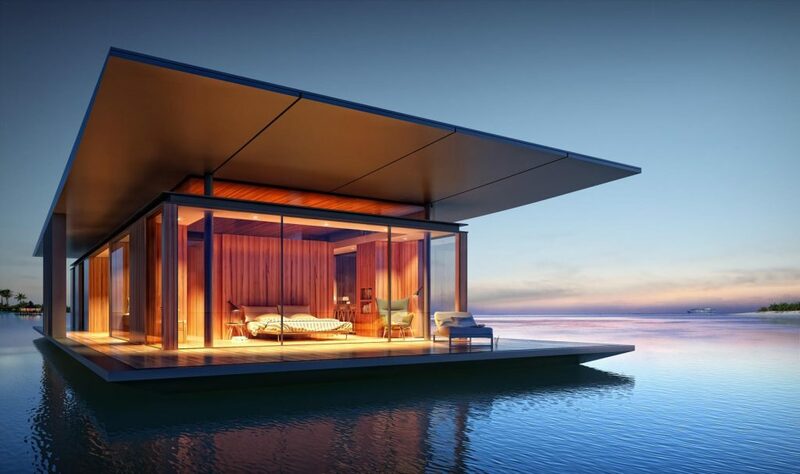 This incredible floating home comes from Singapore-based architect Dymitr Malcew. 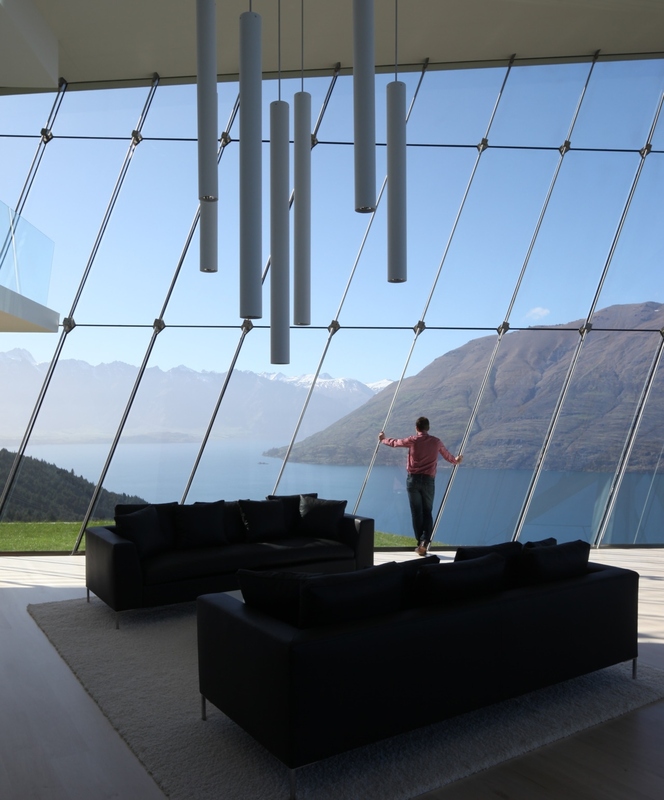 As reported by the Daily Mail, the home stands on top of a buoyant platform and boasts two bedrooms, two bathrooms, a living room, kitchen and full bar. Also, the protruding roof doubles as a diving platform. 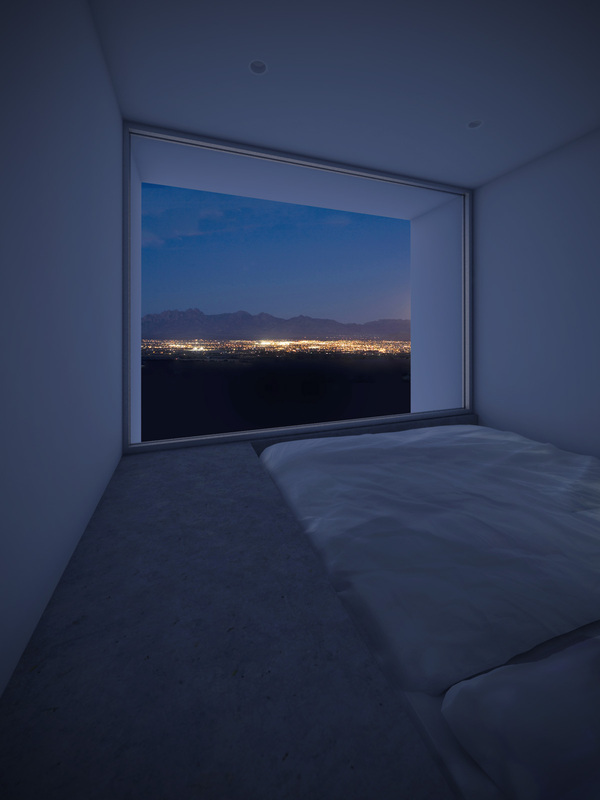 Located in California’s Coachella Valley, the Four Eyes House is named for its quartet of window-wall bedrooms, each offering a unique viewing experience: sunrise in the east, mountains in the south, city lights in the west and nighttime stars up above. 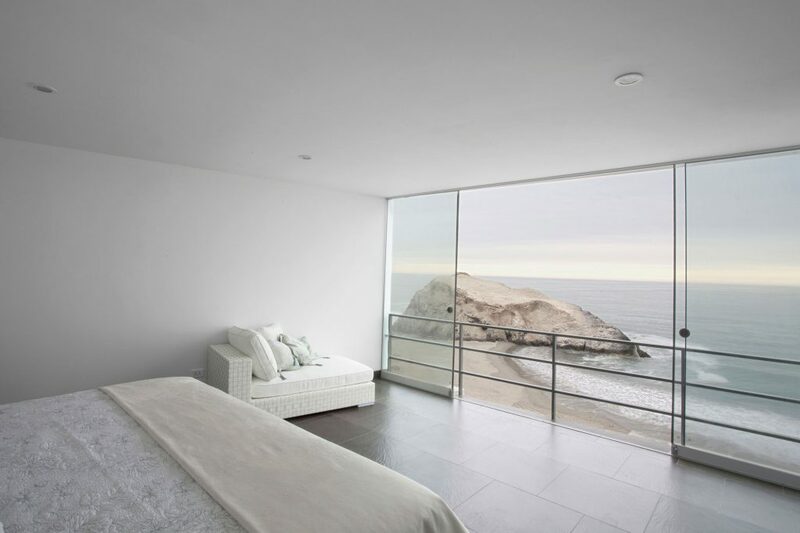 Like many of the homes in this roundup, Lima, Peru’s Casu VU was built on a cliff and looms over its surroundings. 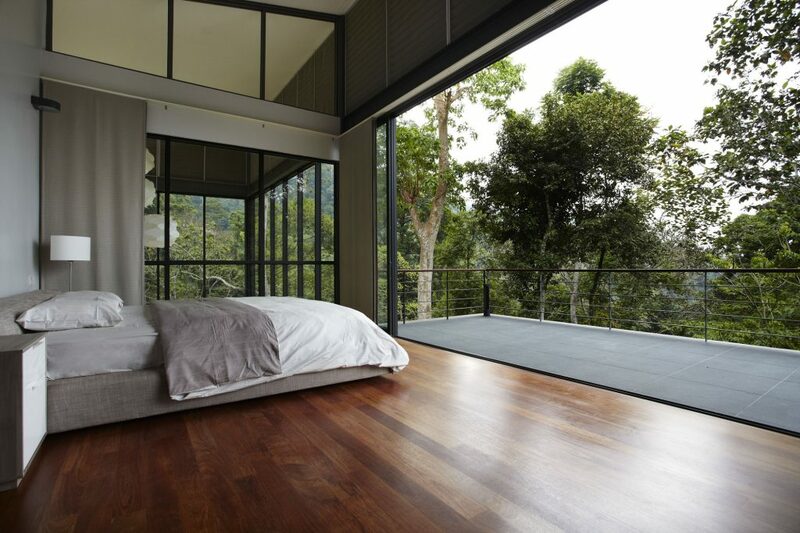 The aptly named Deck House is perched on a slope next to Malaysia’s Janda Baik rainforest, so occupants who choose to pull back the sliding glass wall better be wary of snakes, monkeys and other tree-dwelling creatures. 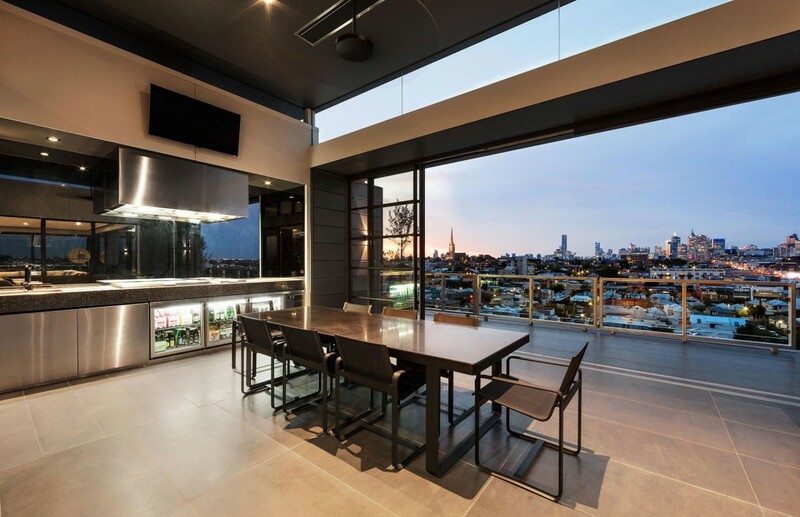 The Coppin Street Penthouse in Victoria, Australia has a kitchen with a massive sliding window-door that drinks in the city skyline while you drink from that glowing beer fridge. 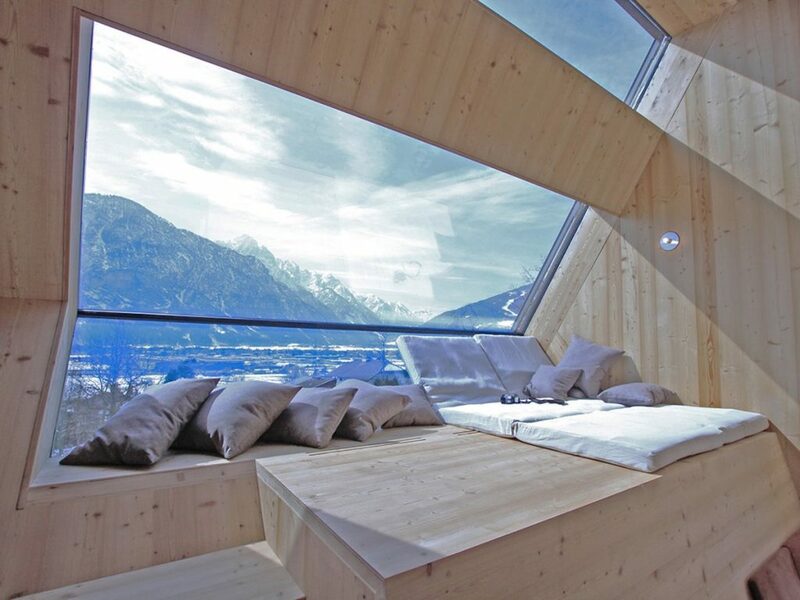 This beauty of a view comes courtesy Austria’s Ufogel cabin, previously featured in our series of homes that look like UFOs. 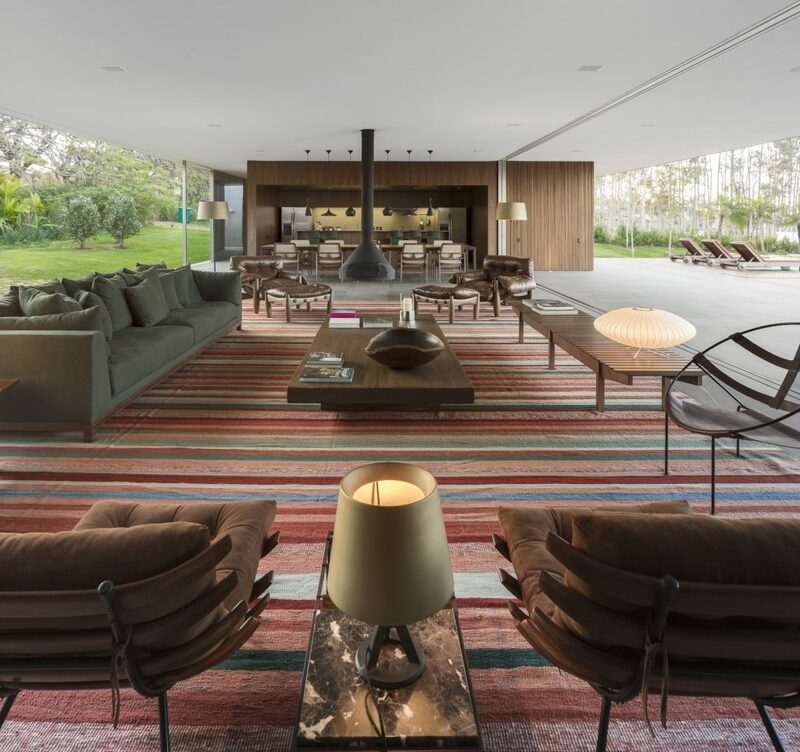 The walls of this living room in São Paulo, Brazil are made entirely of glass. 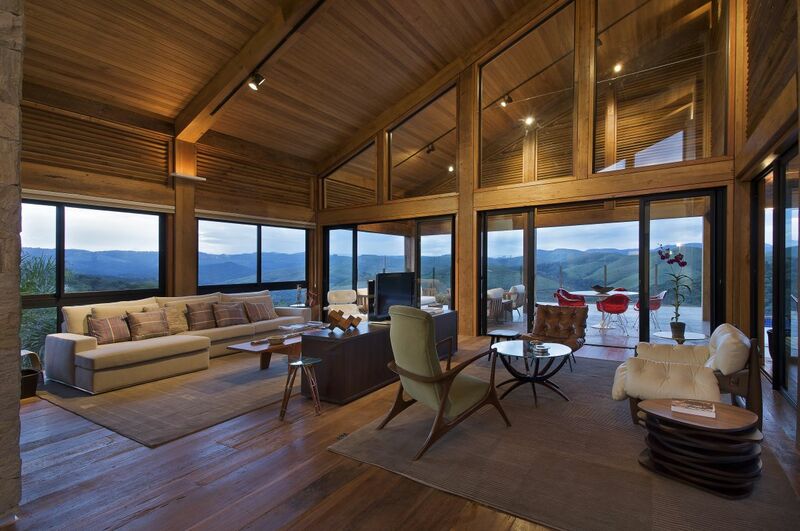 Certainly the home, known as Lee House, would fit right in among these seven rooms that invite the outdoors in. 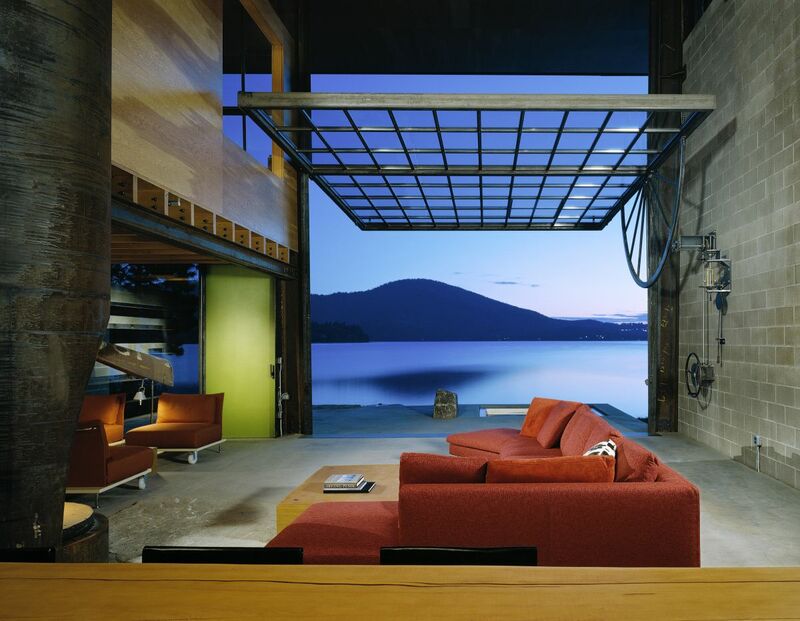 Northern Idaho’s Chicken Point Cabin boasts a 60-square-foot swinging window-wall that opens the entire living space to the surrounding forest and lake. From $692 a night, you can book a stay in the Golden Grown Resort’s glass-ceilinged Levi Igloos, designed to provide a luxurious front-row seat to Finland’s famous Aurora Borealis displays. 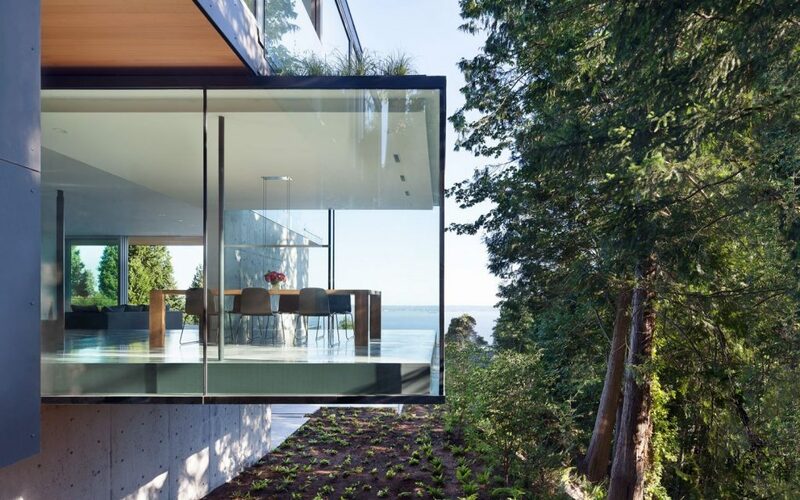 Okay, so the winning formula for a great window/view seems to be: house comprised mostly glass, perched on a hill. 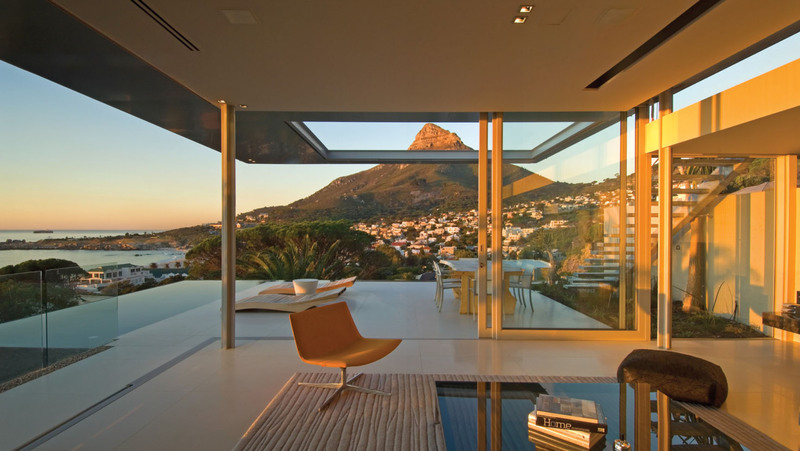 This particular home, simply called First Crescent, is located in Cape Town, South Africa and commands a 270-degree view of Lions Head, Camps Bay and the Atlantic Ocean. 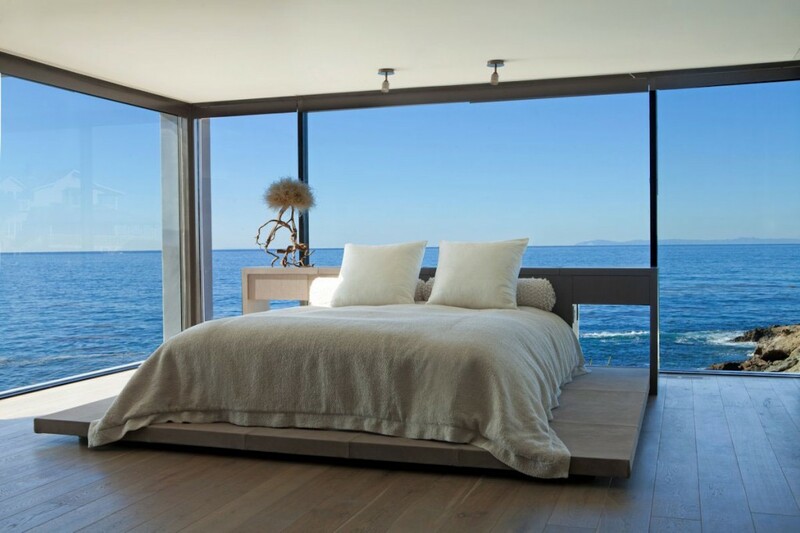 This beach villa is available for rent at the Hayman Island Resort located in the heart of Australia’s Great Barrier Reef. 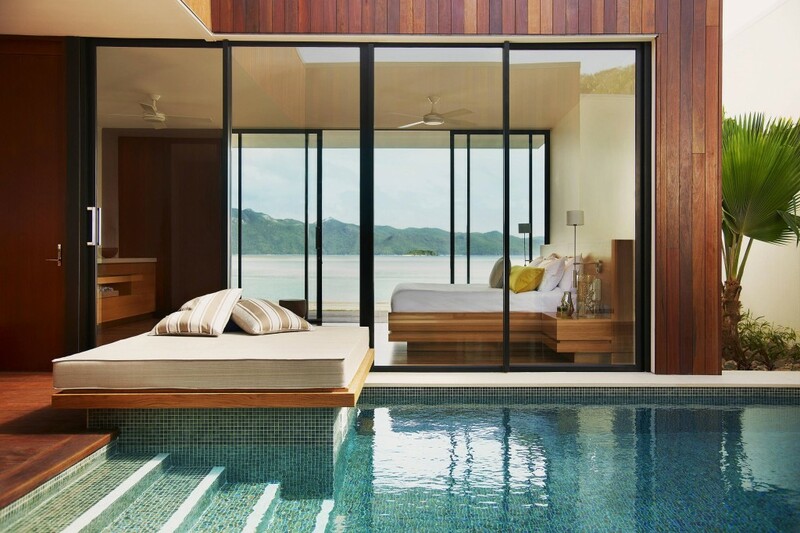 But who needs one of the seven natural wonders of the world when you have your own plunge pool. 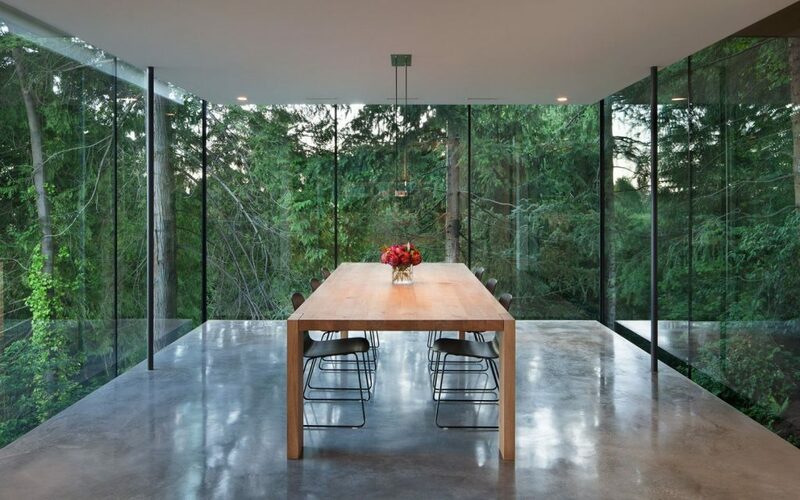 This dining room solarium by Splyce Design overlooks the often soggy shores of West Vancouver. 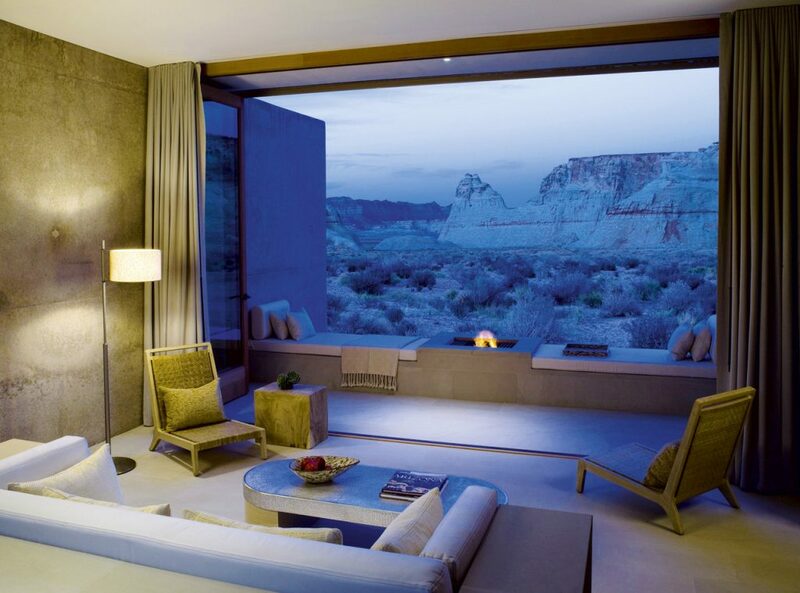 The expansive windows at Utah’s Amangiri Resort offer guests ominous views of the surrounding Grand Staircase-Escalante National Monument. 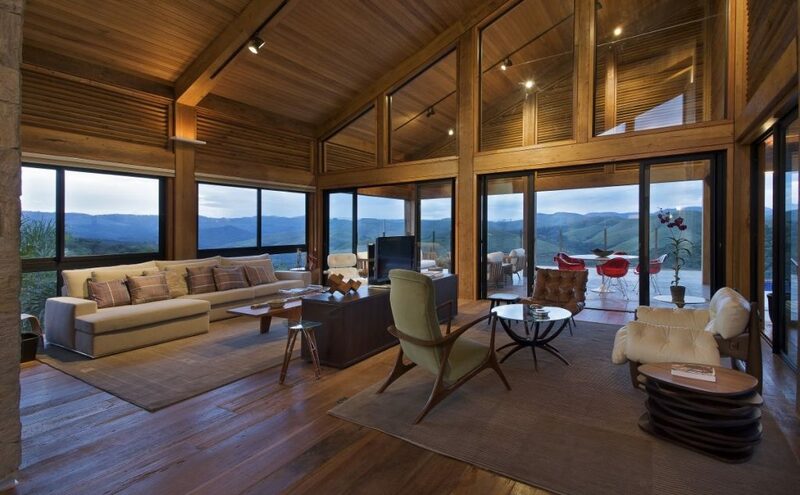 Architect David Guerra’s Mountain House is appropriately situated among the peaks of Minas Gerais, Brazil. 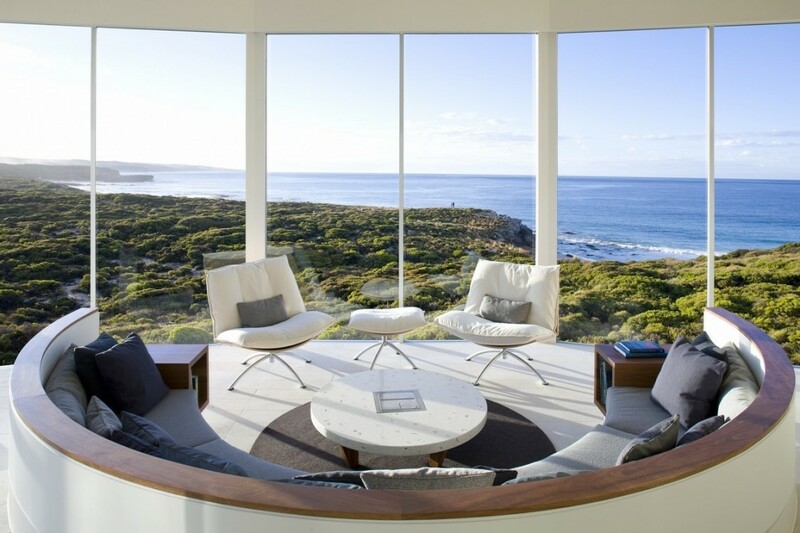 The Southern Ocean Lodge on Australia’s Kangaroo Island floats atop a secluded cliff on a rugged stretch of coast. This waterfront Vancouver home recently sold for just under $5 million. 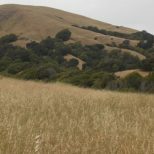 According to the listing, the property boasts seven fireplaces, ideal for those rainy West Coast nights. 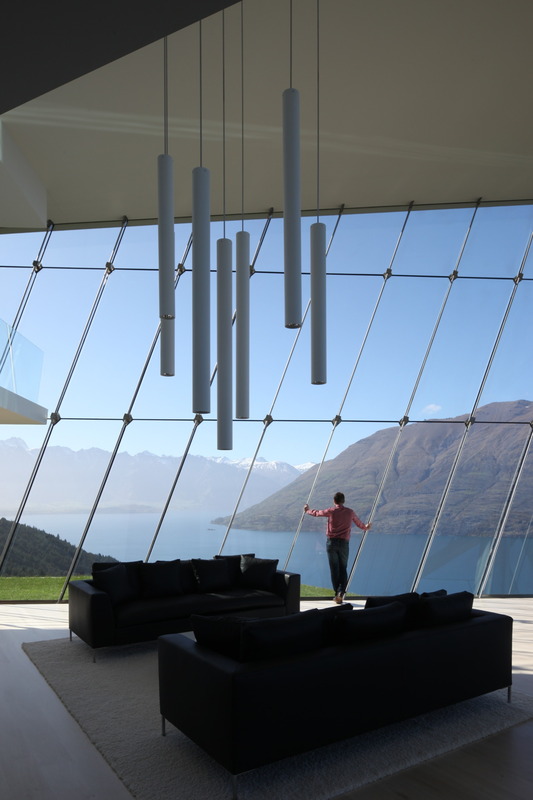 Known as Jagged Edge, this massive home is perched on a cliff overlooking Lake Wakatipu in Queenstown, New Zealand. 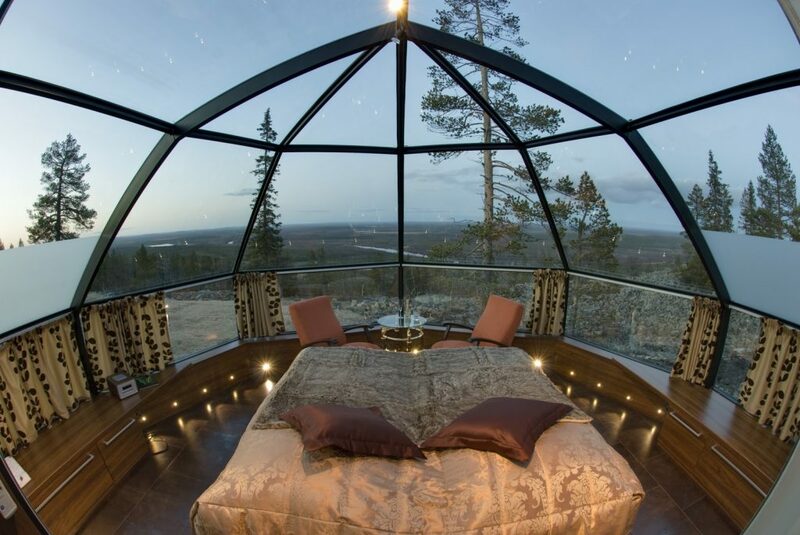 The perfect lair for a Bond villain. 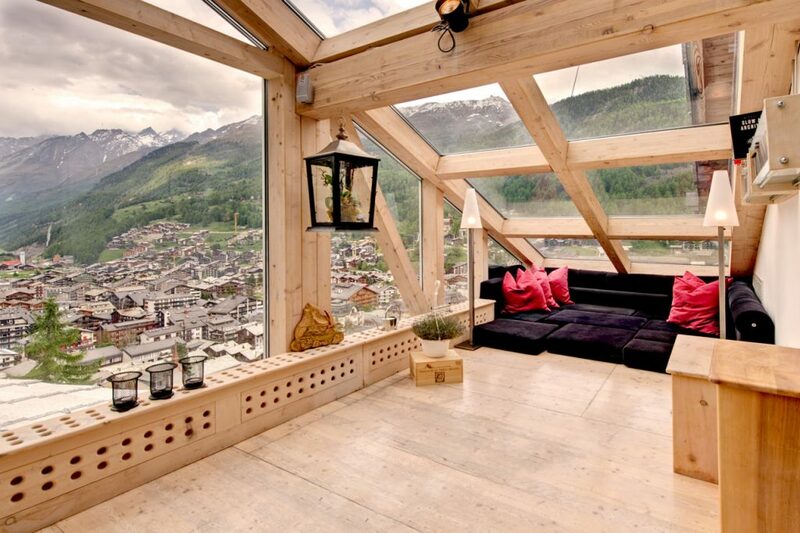 Ah, the Heinz Julen Penthouse in Zermatt, Switzerland… A view with a room. 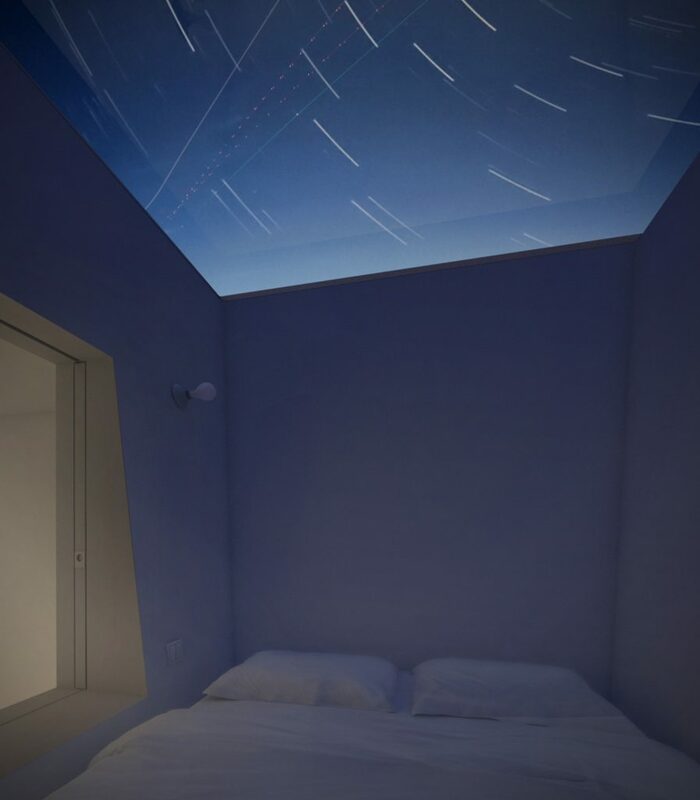 You want to stay here, don’t you? Well, you’re in luck. 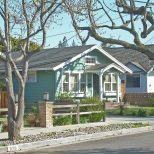 The chalet is available for rent.